One of the dirtiest games around has merged with one of the cleanest games around. 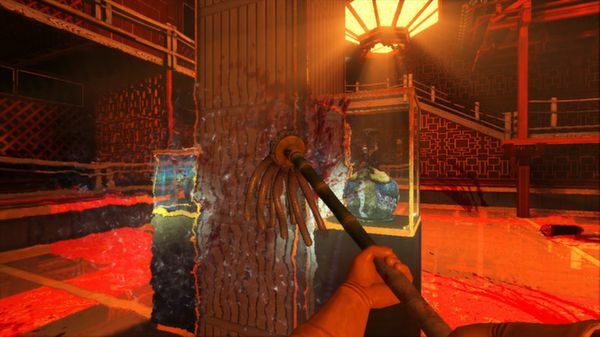 Viscera Cleanup Detail: Shadow Warrior allows players to become a janitor who cleans up after assassin Lo Wang. VCD: SW is a standalone mini-game that takes place after Lo Wang's battle with a group of Yakuza in Shadow Warrior. The player, a janitor at Zilla Enterprises, must get rid of the bloody mess that Lo Wang has left behind. They'll use a mop to wipe up all the spilled blood. The poor janitor must also pick up all the severed body parts and dispose of them in the incinerator. There's an hour's worth of cleaning to be had, along with two Achievements. "Plan your strategy wisely or risk tracking bloody footprints around your clean floors or knocking over a bucket of guts on what was previously a pristine flight of stairs!" says the announcement from Shadow Warrior publisher Devolver Digital. 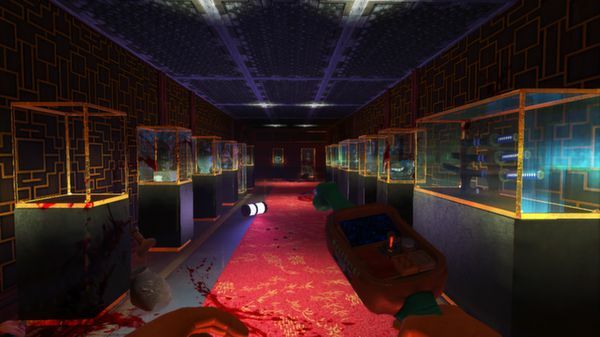 In order to get Viscera Cleanup Detail: Shadow Warrior, you'll need to purchase Shadow Warrior. 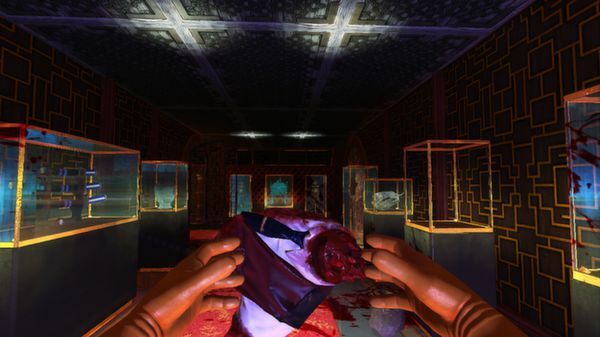 Shadow Warrior, released last month, is a reboot of 3D Realms' first-person shooter from the nineties. Lo Wang, once a warrior for Zilla Enterprises, must prevent his former employer from unleashing the shadow realm's forces on Earth. They'll battle through scores of enemies using a katana, magical powers, and over-the-top weapons like quad shotguns and laser-guided rocket launchers. 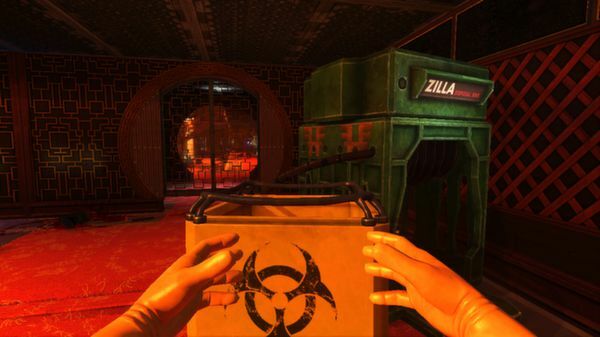 Viscera Cleanup Detail is also an in-development game starring a janitor on a space station. After a group of brave marines have killed an alien force attacking the station, it falls to the janitor to clean everything up. Developer Runestorm says on their website that the Shadow Warrior-themed minigame released today features some features and bug fixes that will be incorporated into the normal VCD eventually. VCD was greenlit for Steam in August. RuneStorm hopes to release the full version later this year. The alpha, featuring co-op and multiple maps, can be downloaded for free here.